Annett Bus Lines is a charter bus company in Jacksonville. 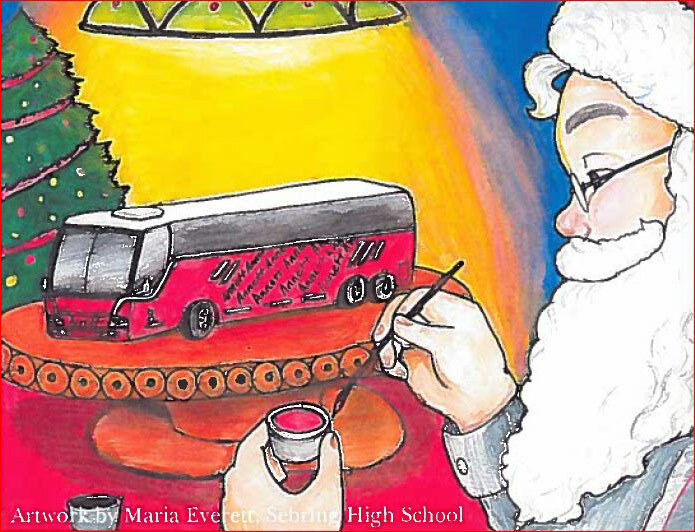 Every year we select a piece of artwork from a local student to feature on our Christmas Card. You must be a student of a Florida school. All participants need to complete a registration form and submit it along with their artwork to Tamra@annettbuslines.com by Friday, November 16, 2018. Featured on our Christmas Card that gets mailed to over 250 clients and vendors throughout the state. 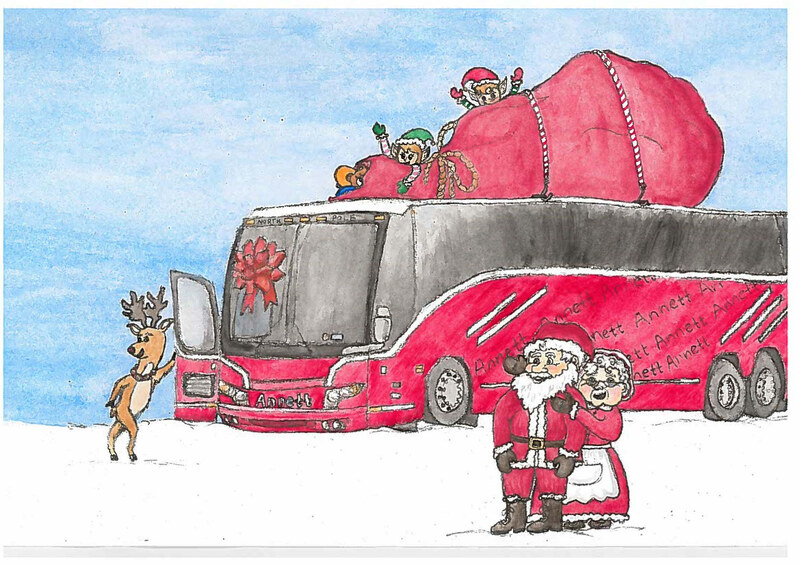 For additional information on the contest rules or deadlines, please email Tamra@annettbuslines.com.